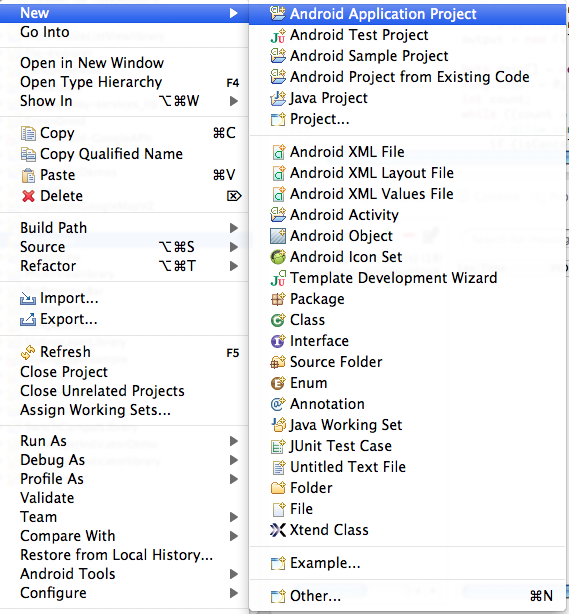 After installing Eclipse and all the components required for android development (You can use This Tutorial for to knew How to start Android Development). Now you can create your first Hello World Android Application. 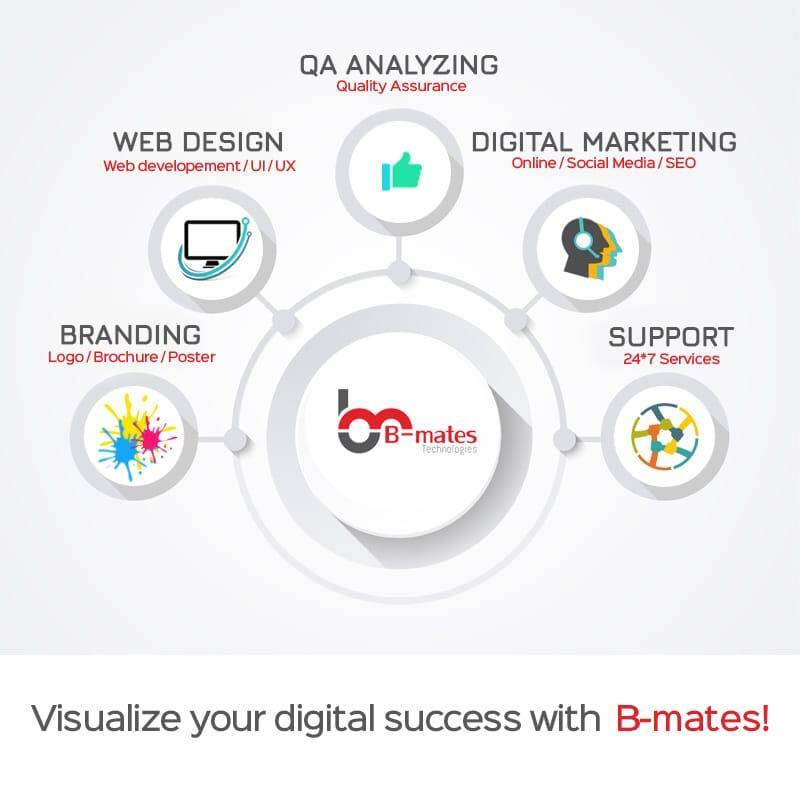 You can create your Android application through two ways. 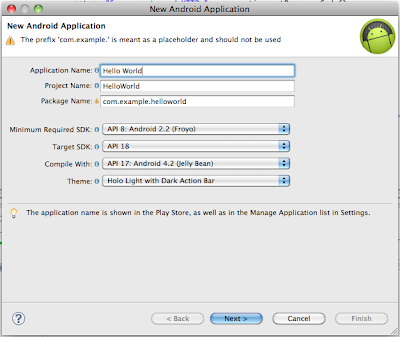 Enter the Application Name, Project Name, Package Name, Minimum Required SDK, Target SDK, Compile with, Theme for the new android application on the Window. 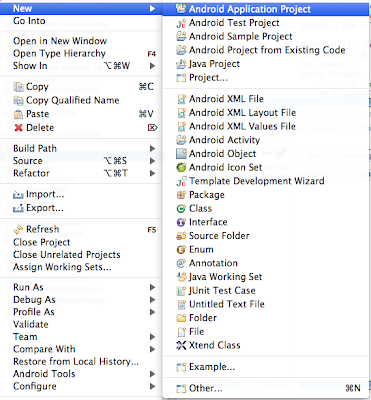 Project name is the name of the project directory which is displayed on the project explorer and also the folder name of your application created in your android workspace. 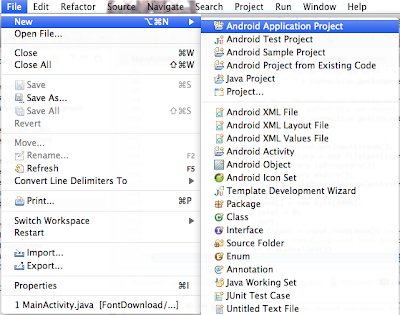 Package name is the namespace of your application. 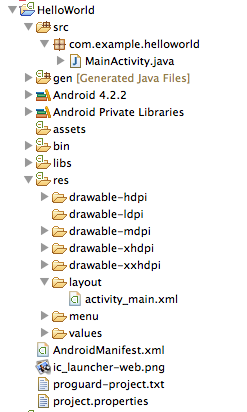 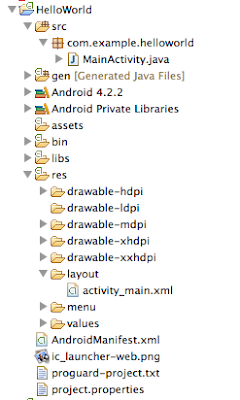 which is unique for all the packages installed on your android system. 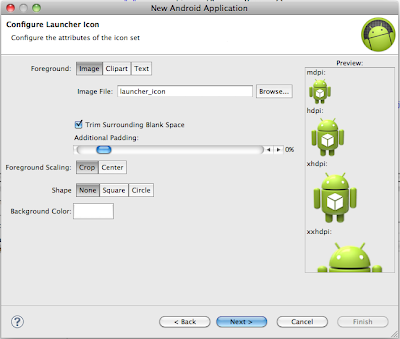 Minimum Required SDK is the lowest version of android which supports your application. 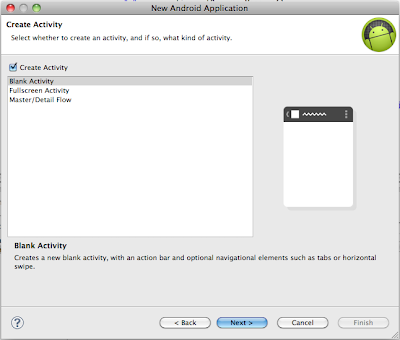 Target SDK is the highest version of android which supports your application. 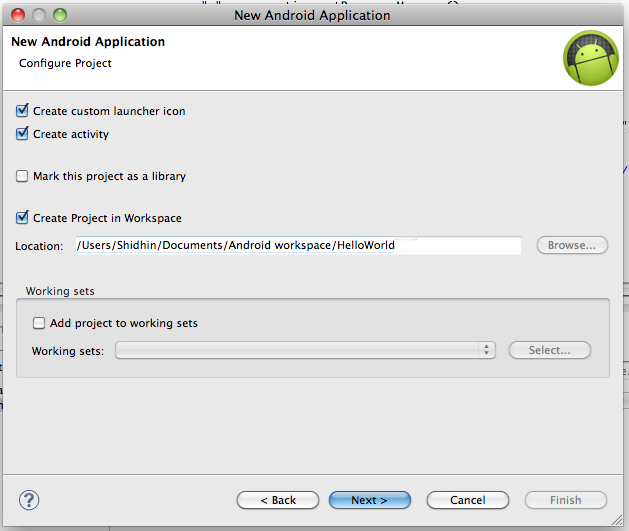 Next screen is Configure project screen. You just skip it by press Next Button. Next screen is Configure Launcher icon Screen. Next screen is Create Activity screen. 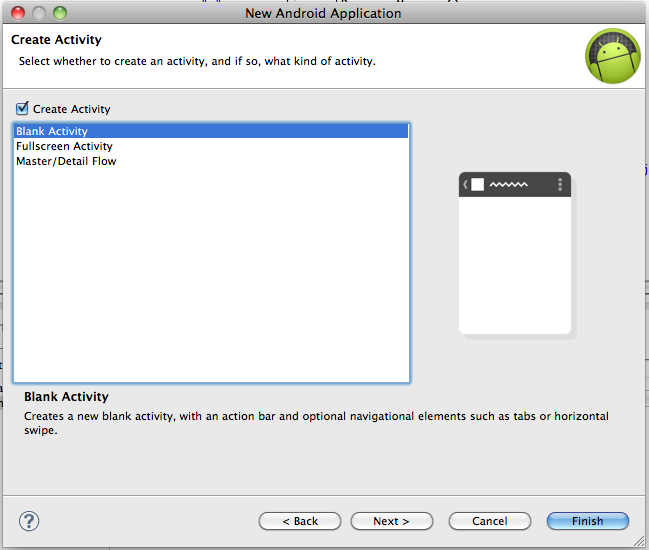 Next screen is Activity Creation screen. 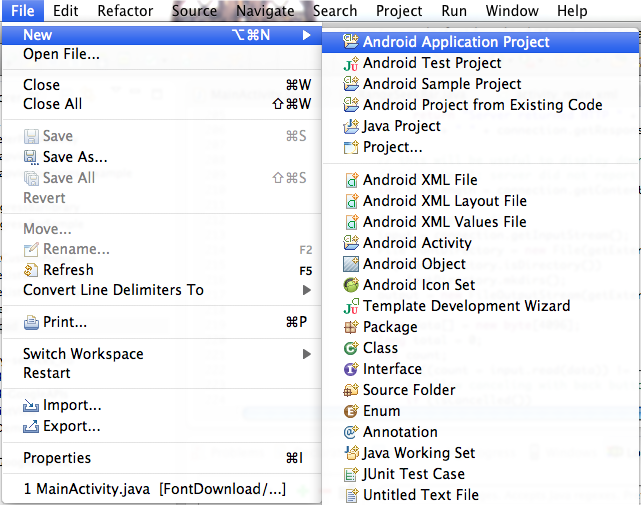 After that you can see your application on your project explorer.